I used Mister Tom’s Treasures and Pion Design Palette to make this new design. 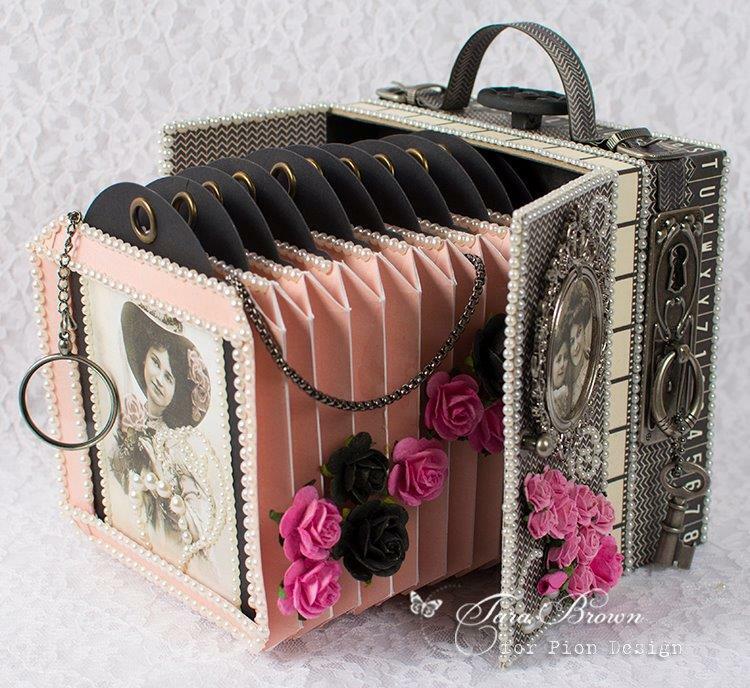 The front doors of the case open to reveal a pop-out accordion vintage camera that holds photos or tags. The camera can then be compressed and the front doors shut to hold the project. It’s a great way to showcase your favorite photos and the beautiful papers makes it extra special! magnifique et super original ! prévenez-moi si vous faites un tuto car j’aimerais bien essayer de réaliser ce projet ! une merveille ! I Don’t very well the English. I hope that you would unterstand me! 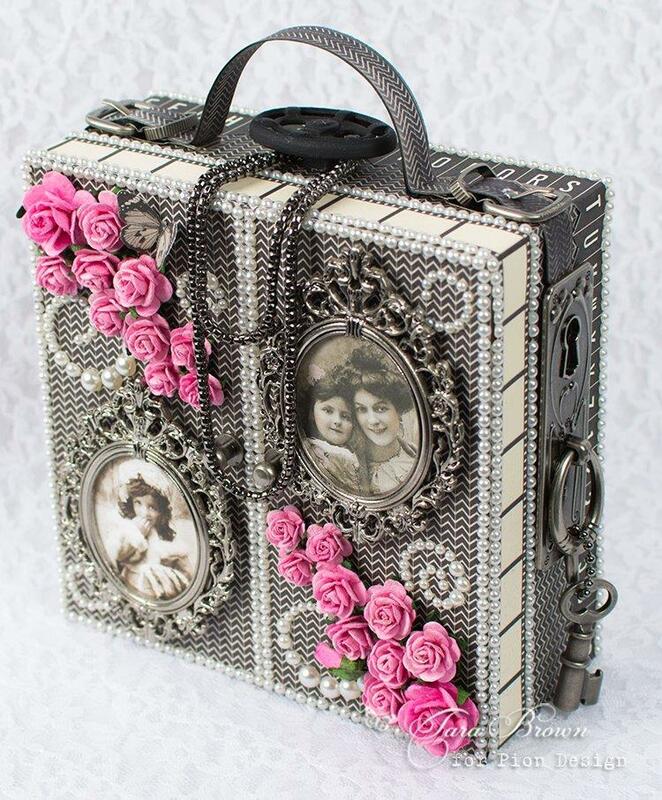 Is there a tutorial up somewhere for the beautiful camera/case? hello wow so beautiful do have a tutorial on how you make it . Avez-vous le tutoriel de ce bel appareil photo.